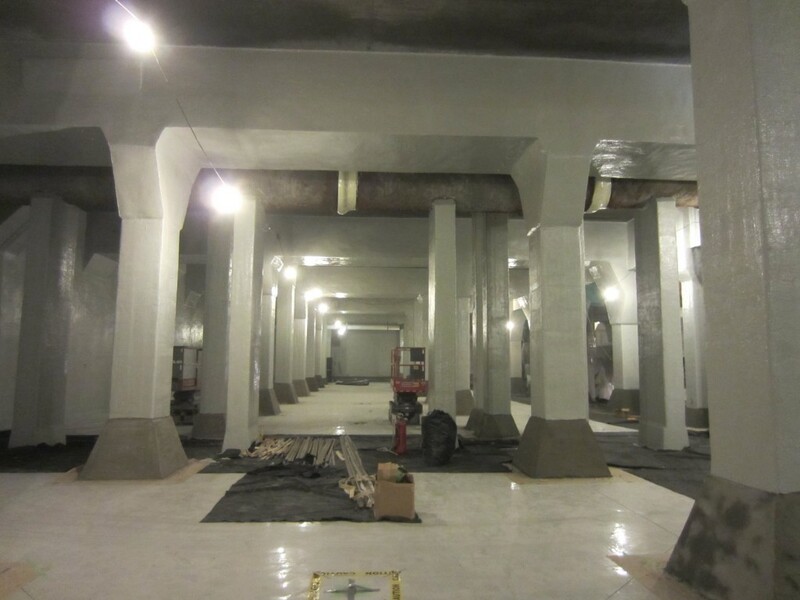 The project description was to completely renovate and restore the existing 20 million liter Clearwell reservoir including extensive concrete remedial work, shotcrete, carbon fibre reinforcement, and installation of special NSF certified coatings. 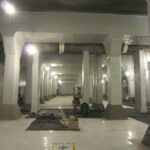 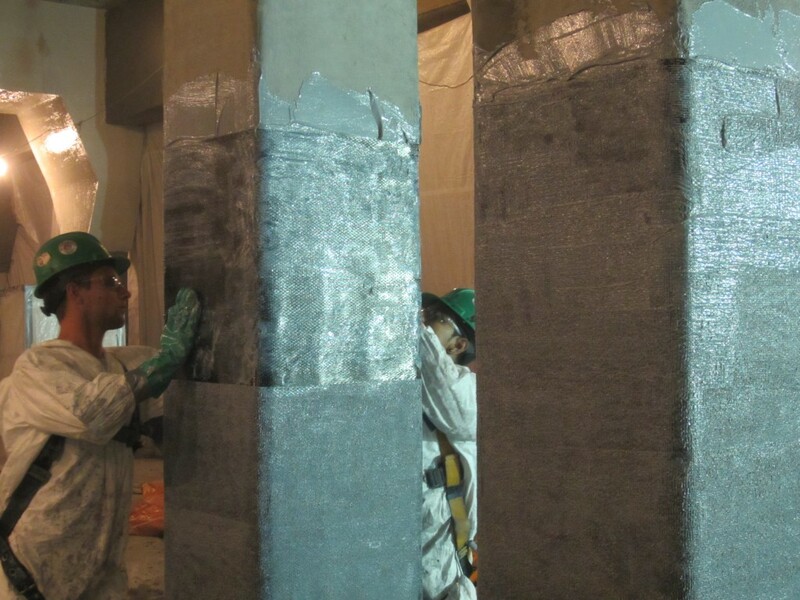 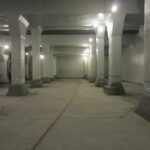 The project scope of work consisted of the construction of a new 325 cubic meter cast-in-place concrete floor slab with dowels into the existing reservoir slab; installation of new expansion joints and modifications to existing expansions joints, including work on drain conduits and settled water conduits; installation of carbon fiber wrapping around existing columns; extensive concrete demolition and chipping, as well as high pressure water blasting for surface preparation. 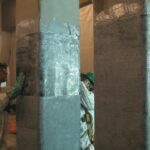 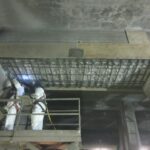 We completed the application of shotcrete, leveling mortar, and bentonite waterproofing system coatings on columns, walls, slabs and other existing surfaces; metal work rehabilitation, including existing baffle curtain system, stairs, gratings, handrails, ladders, and suction headers; installation of new baffle curtains in some locations; and installation of steel plates at the stop log gain in the Filtered Water Collection Chamber. 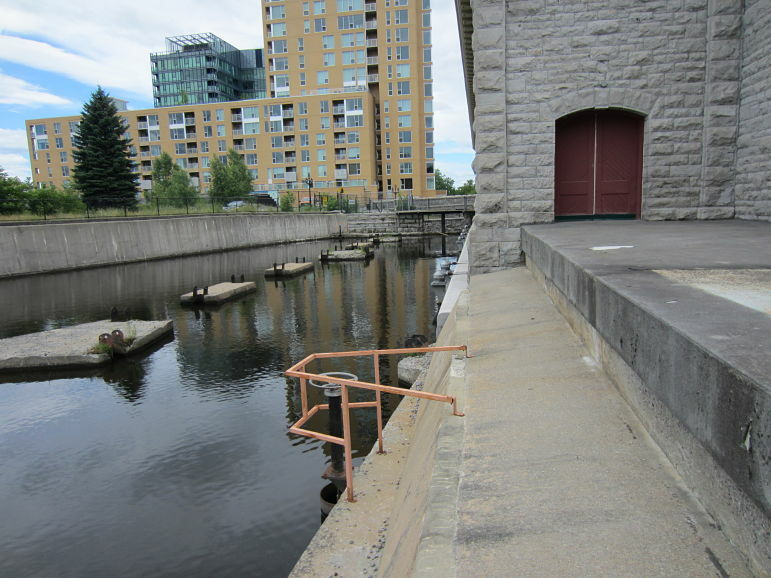 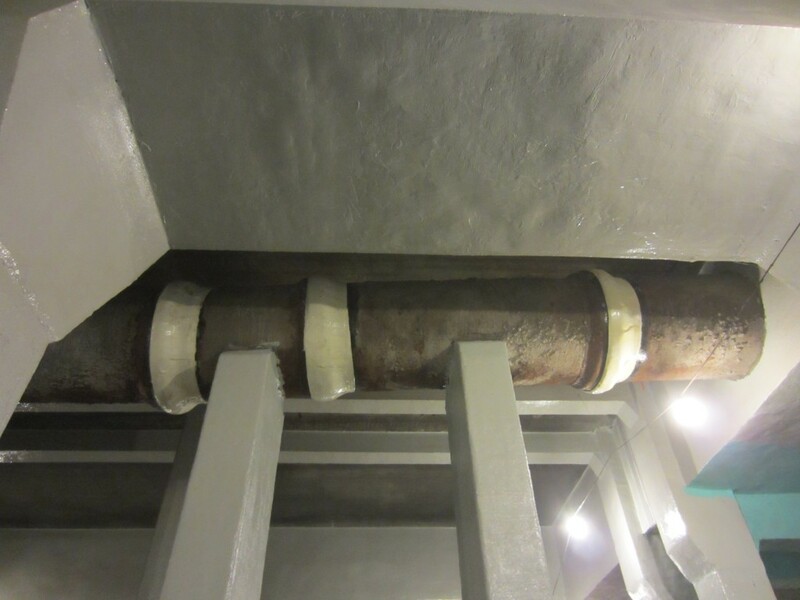 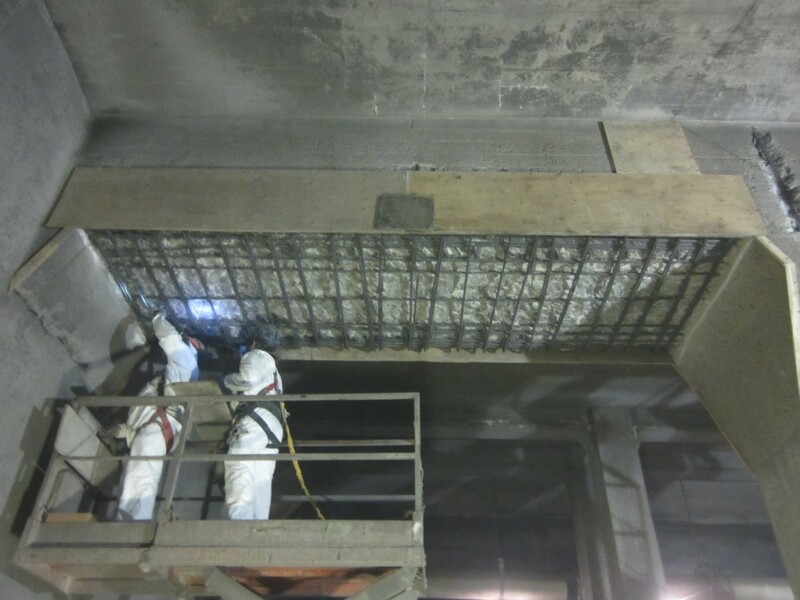 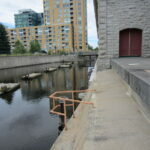 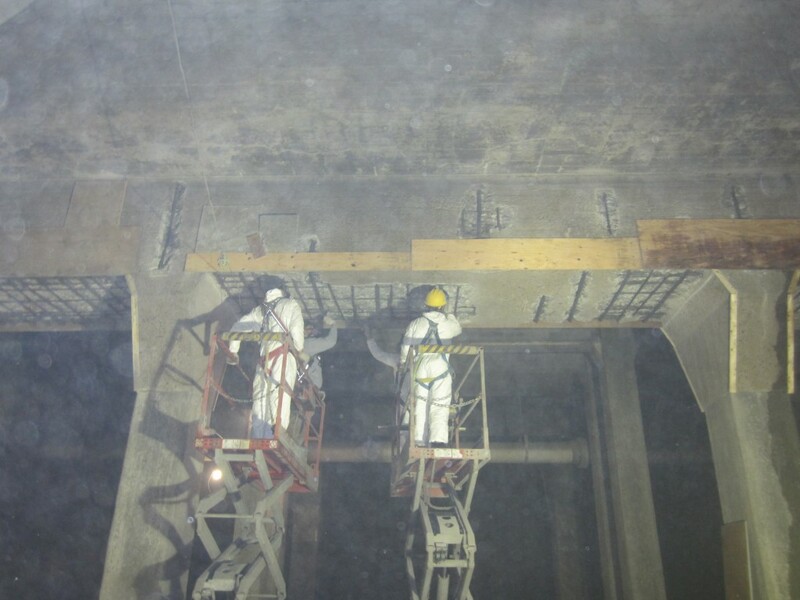 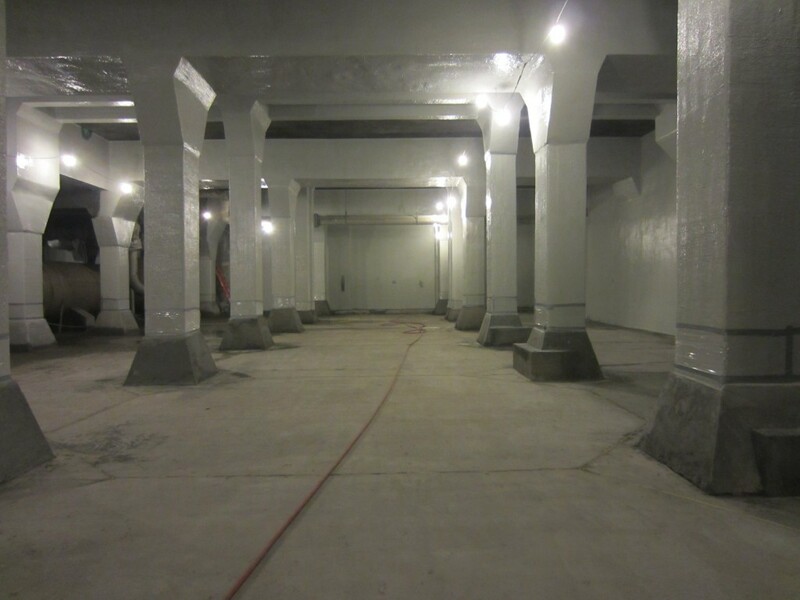 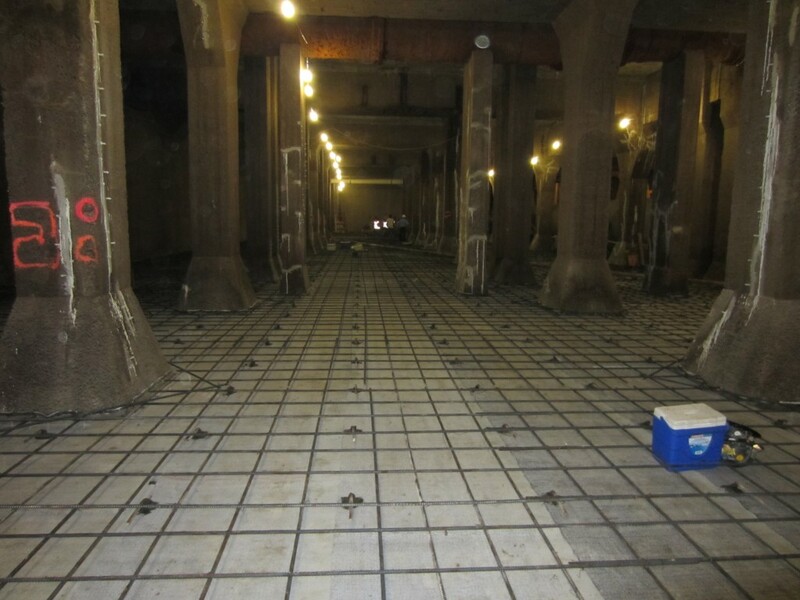 This rehabilitation work also required a temporary access corridor, complete with demolition of a large opening in the existing structural concrete tank and bulkheads at the overflow weirs, as well as reinstatement of existing piping and sample lines that were removed at the beginning of the project. 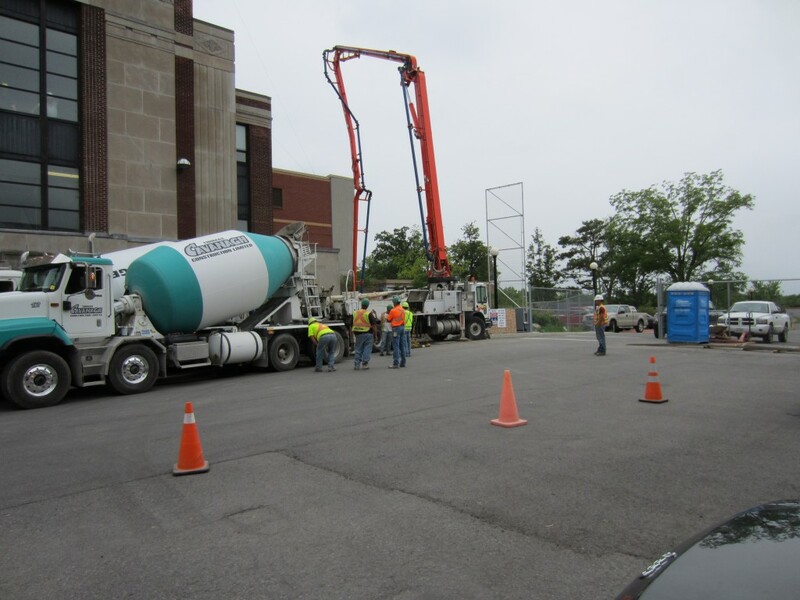 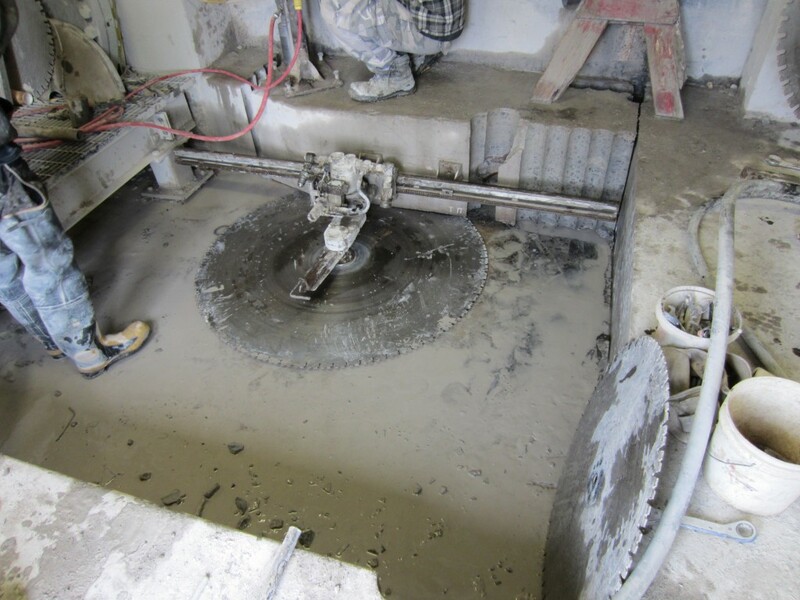 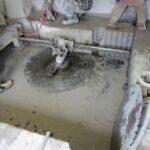 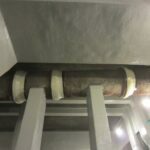 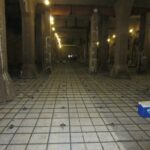 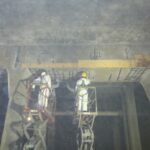 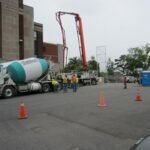 Extensive concrete refurbishment work was performed on this project, while maintaining the existing operation of the plant and all civil and mechanical work was self-performed.